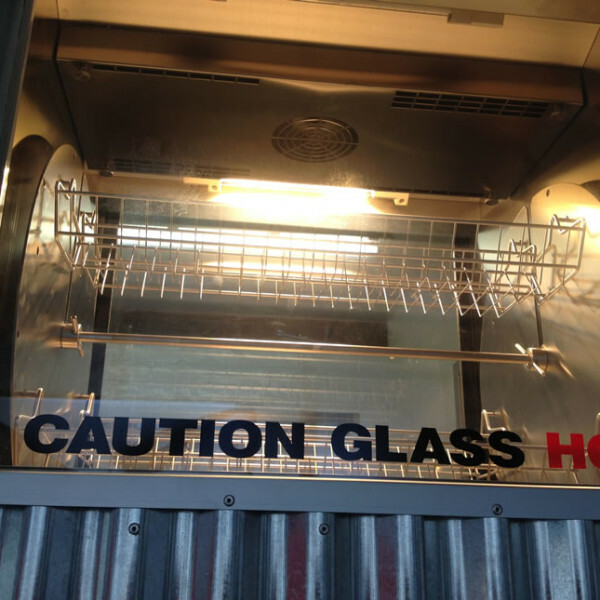 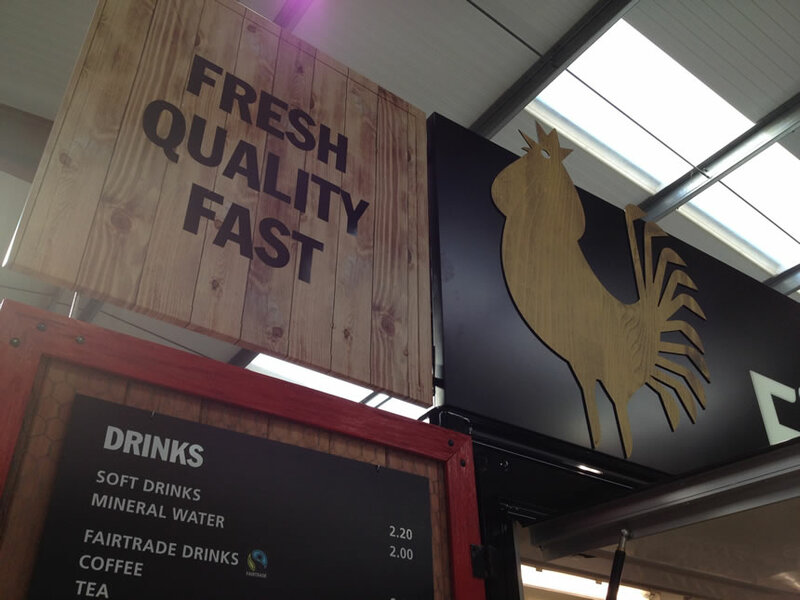 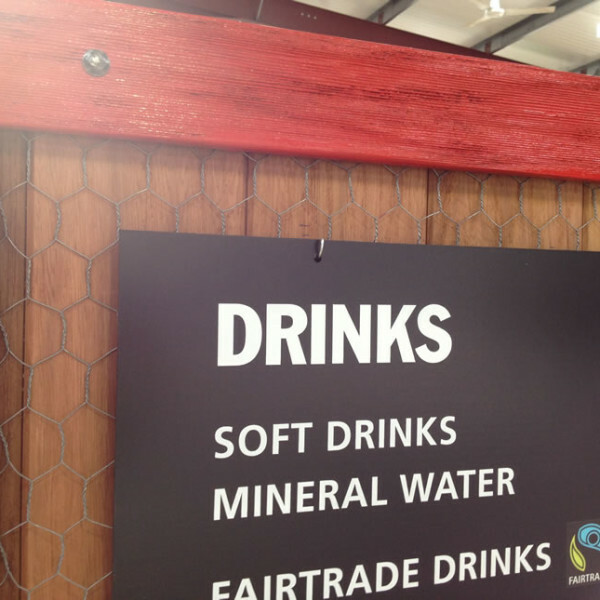 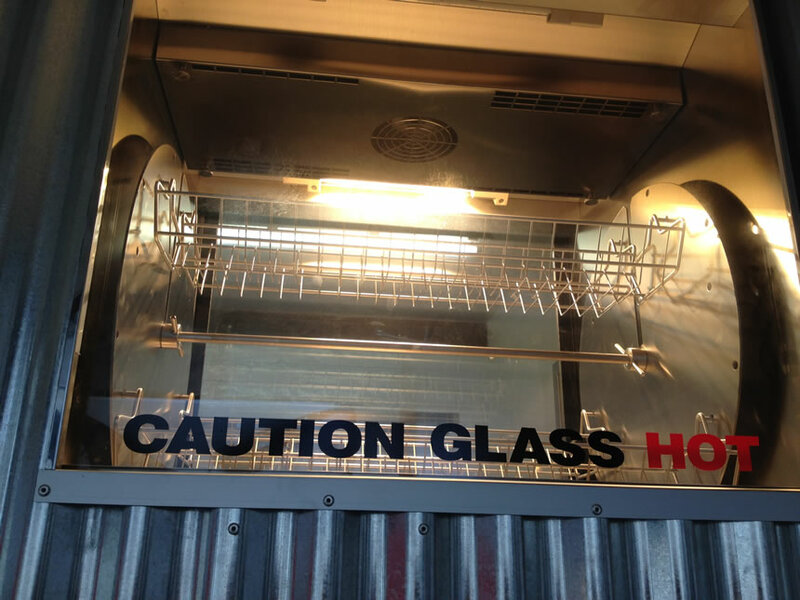 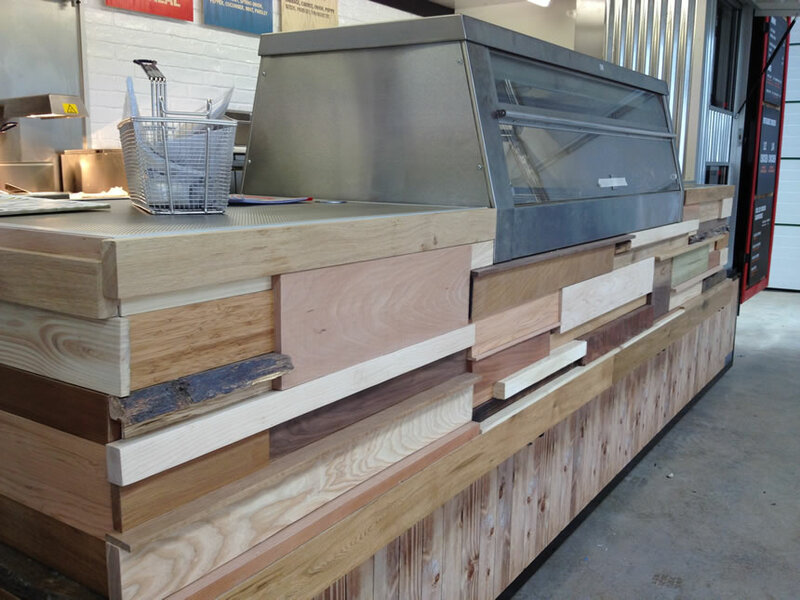 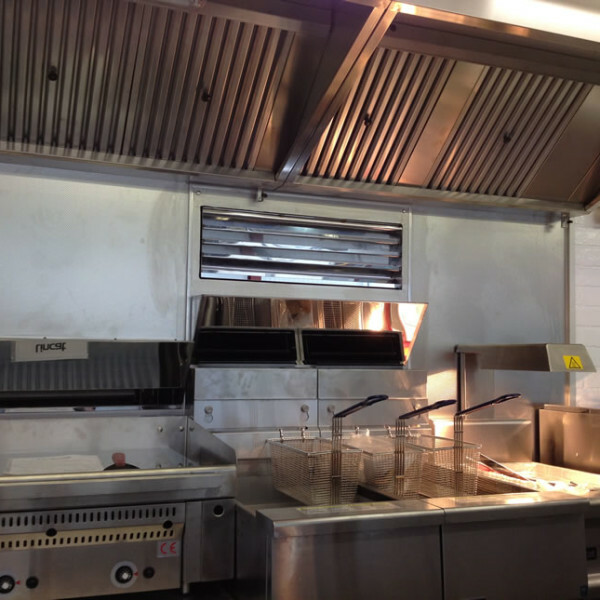 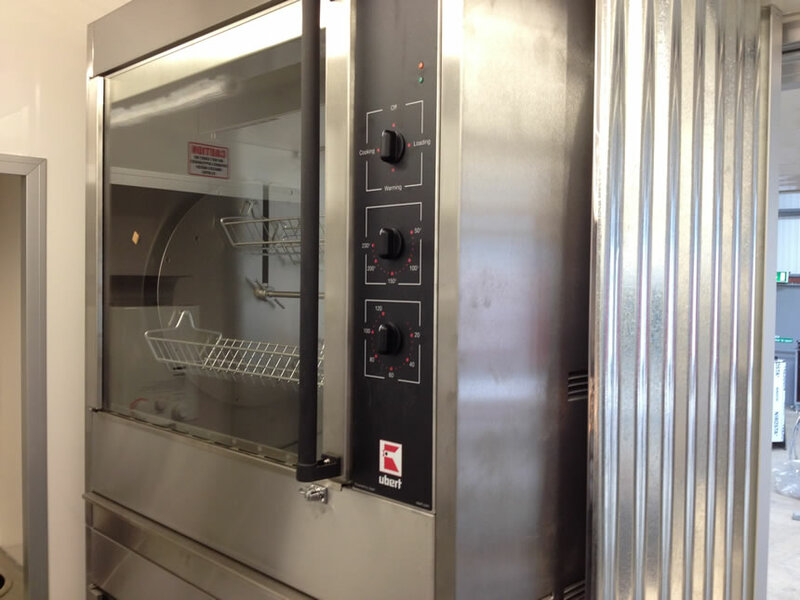 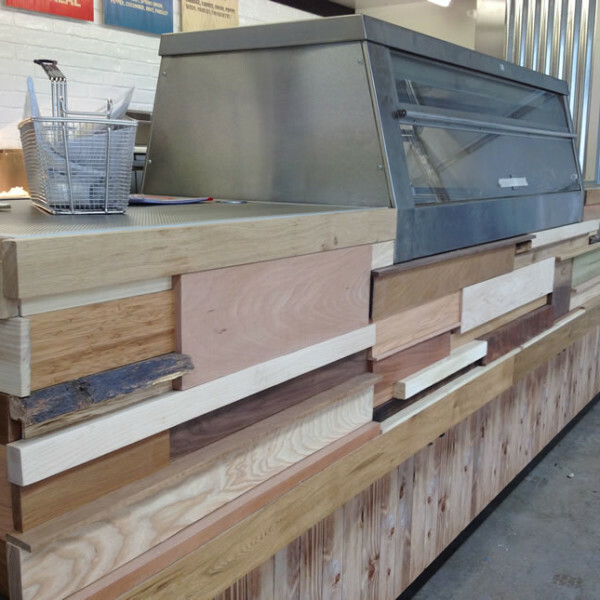 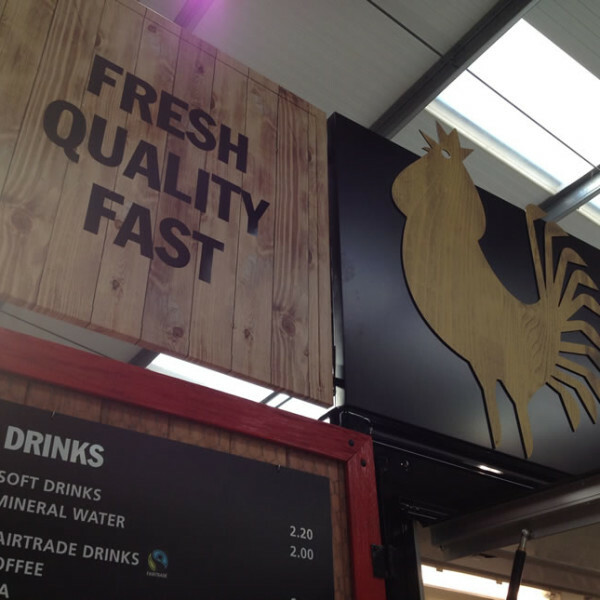 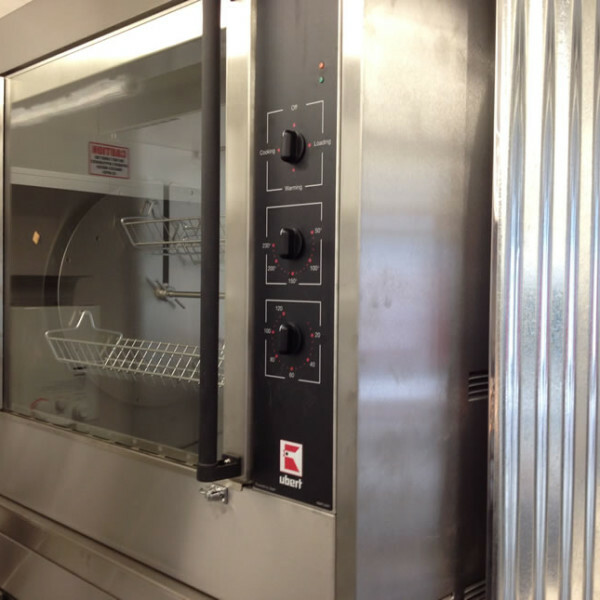 * Bespoke wood fascia push out counter, with built in refrigerated drawers to be used for cold drinks etc. 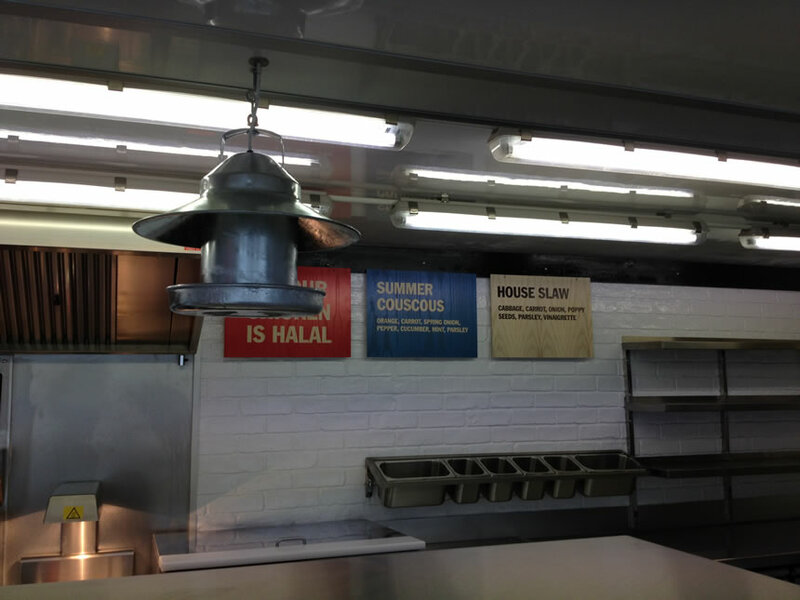 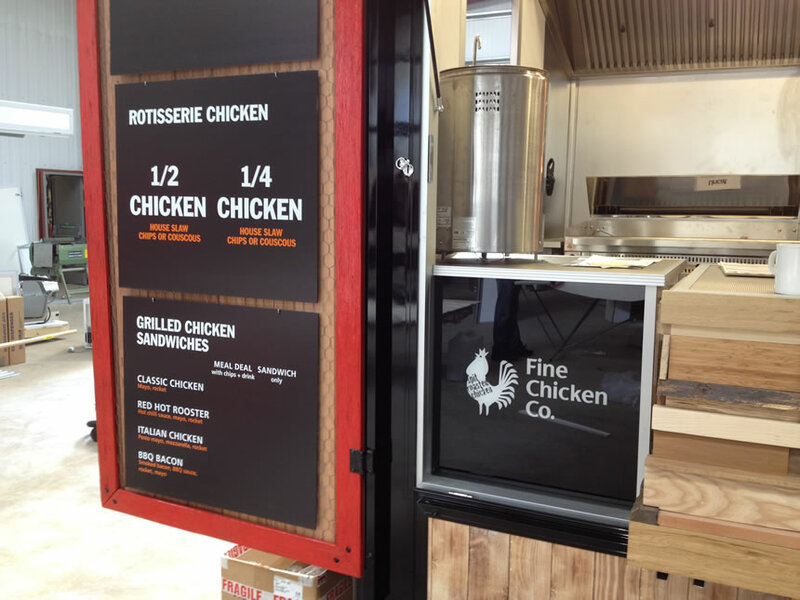 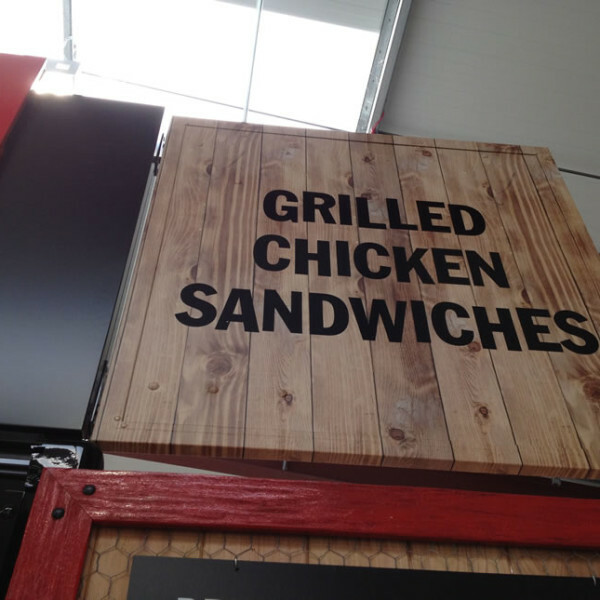 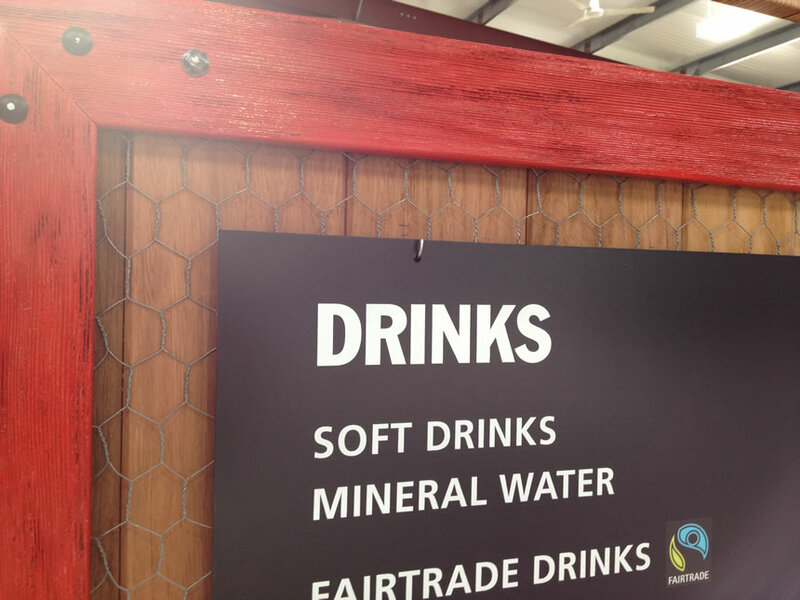 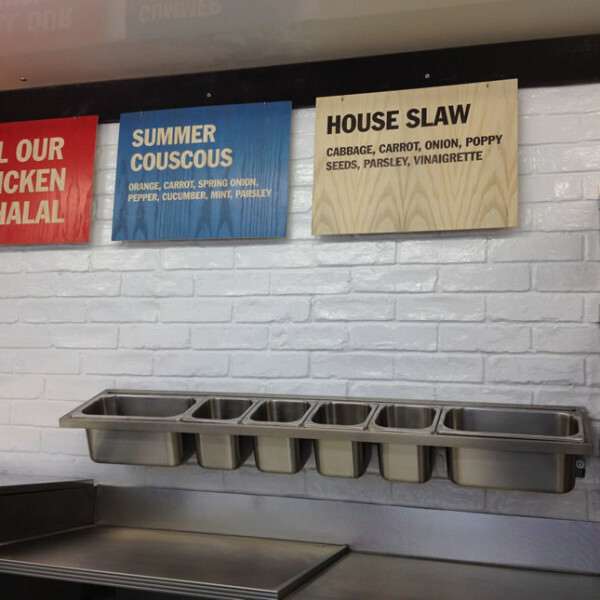 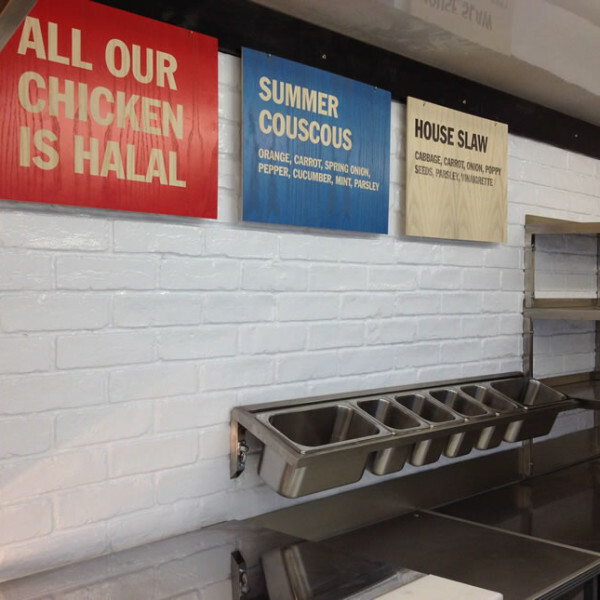 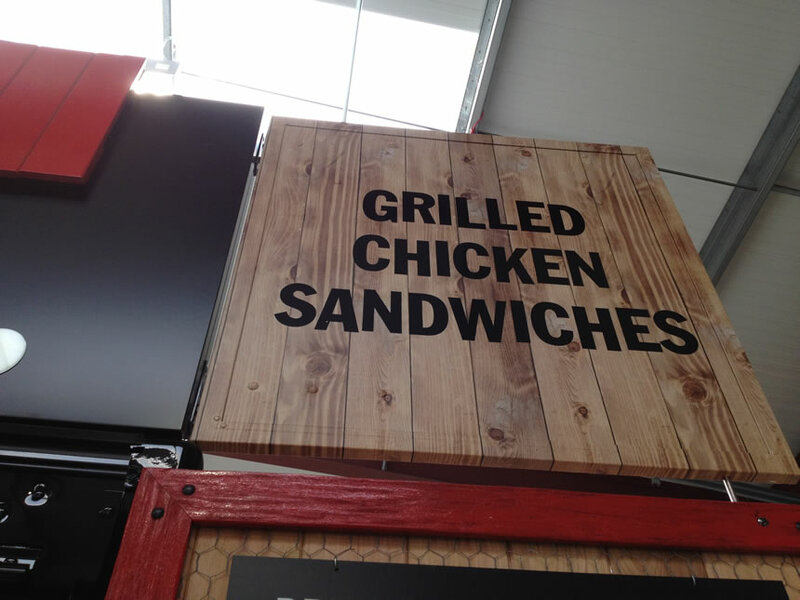 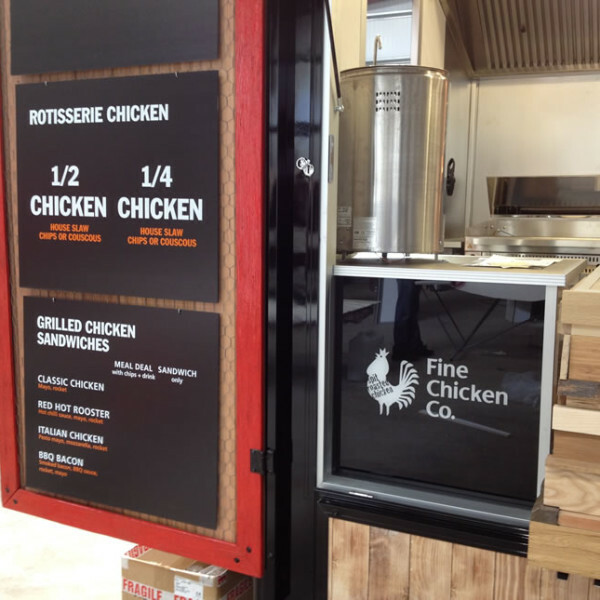 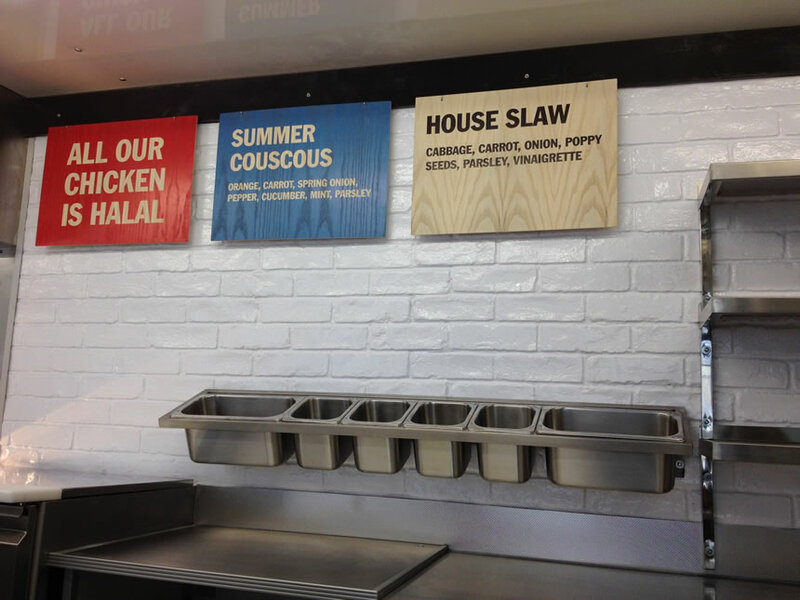 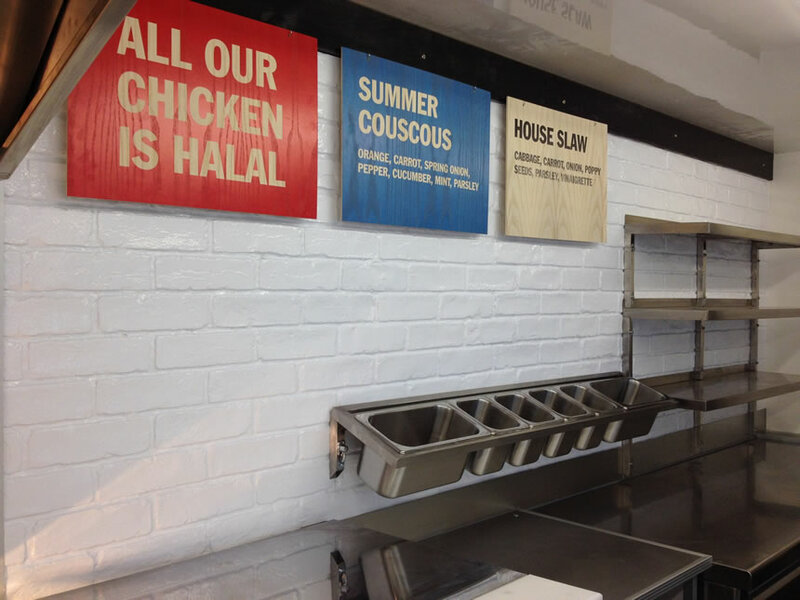 * Mesh / wood / Blackboard Menu boards. 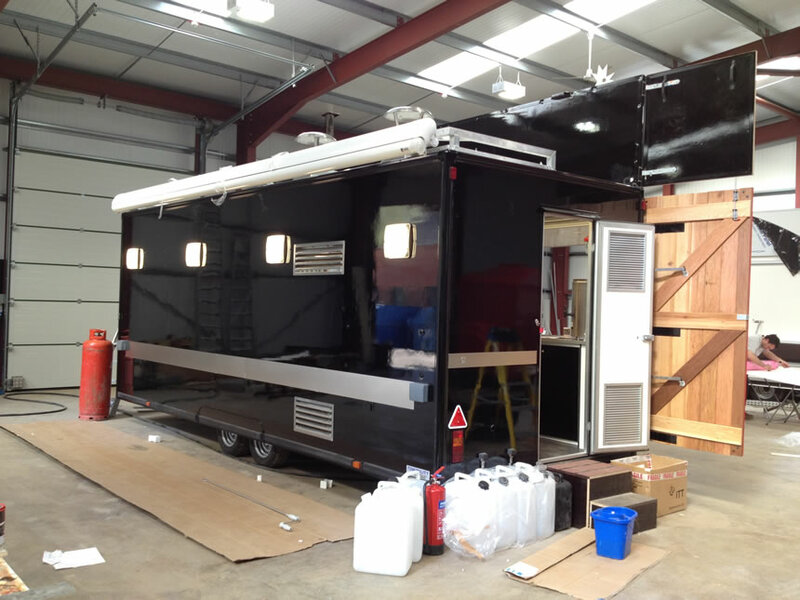 We are extremely proud of this unit, as it utilises the latest Towability lightweight build technology that has allowed all this to be done under the maximum gross weight of 3,500 Kg. 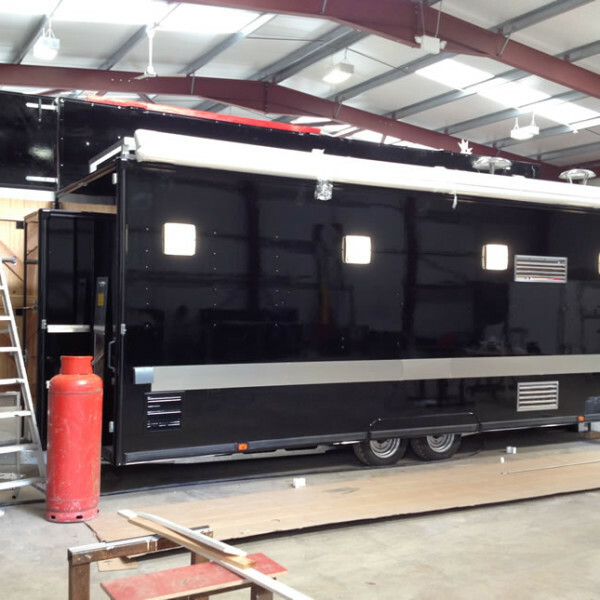 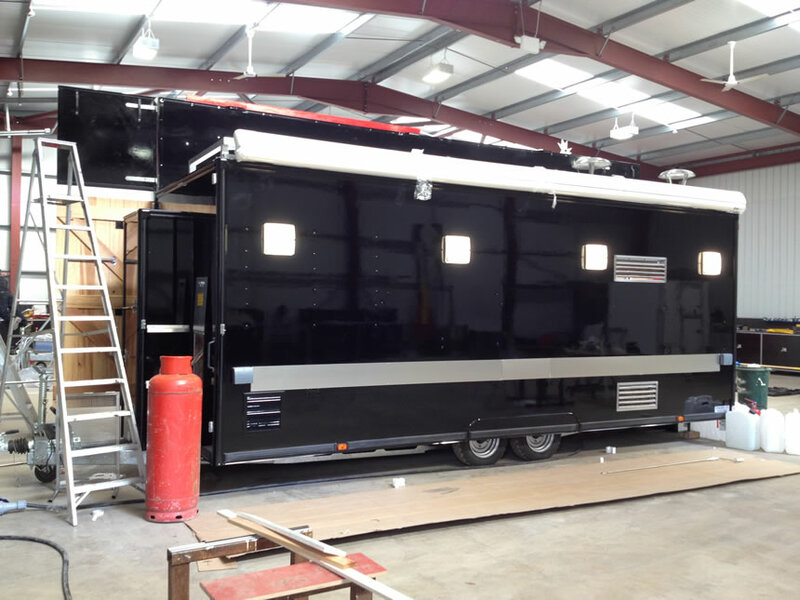 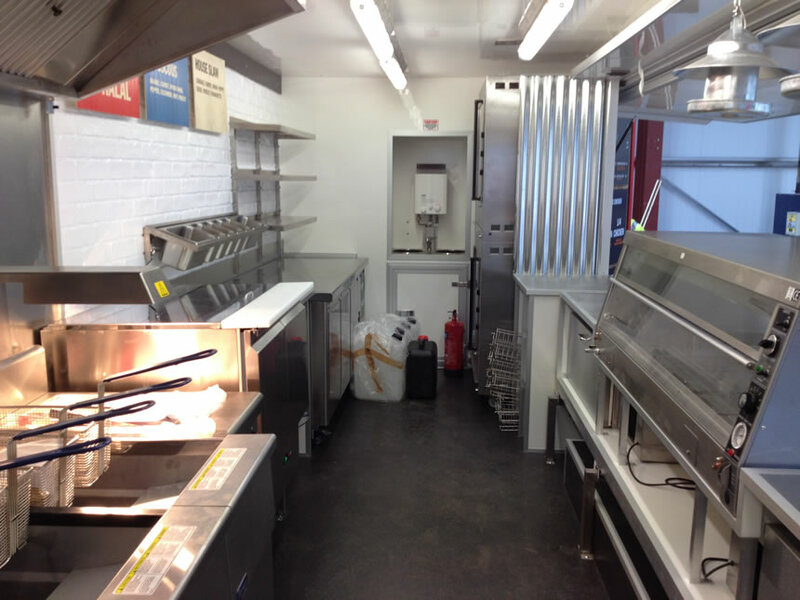 Unit: Towability 20ft x 8ft Supercontinental Catering Trailer. 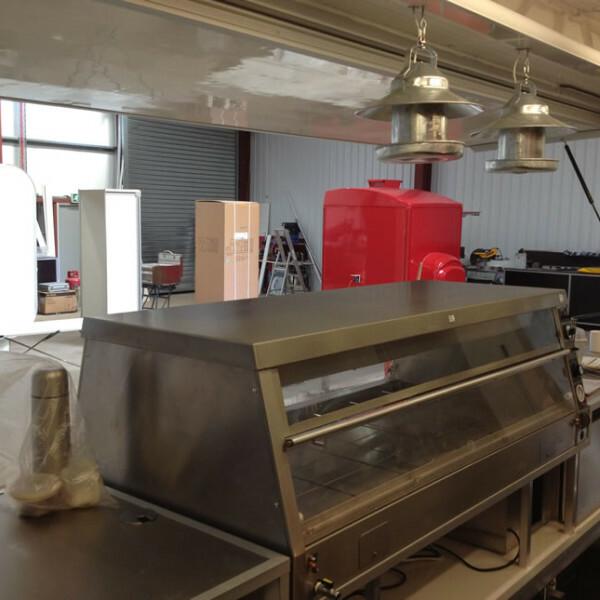 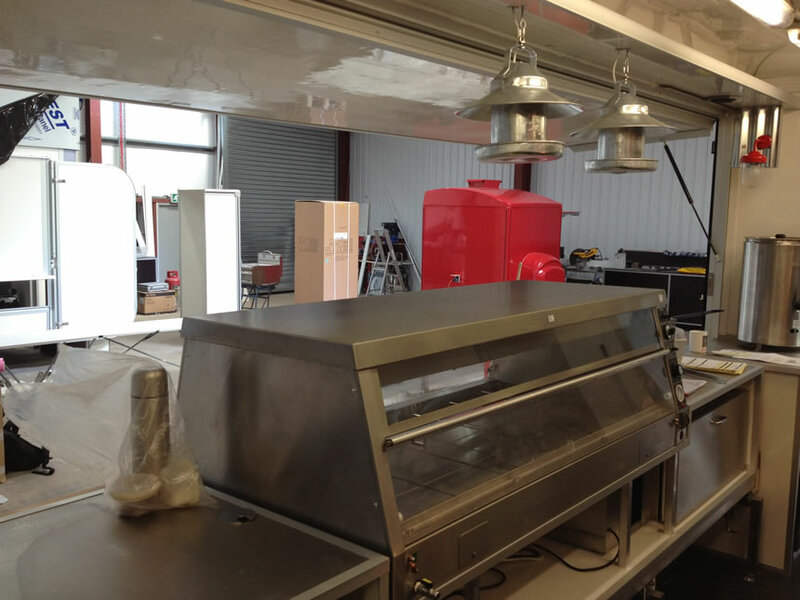 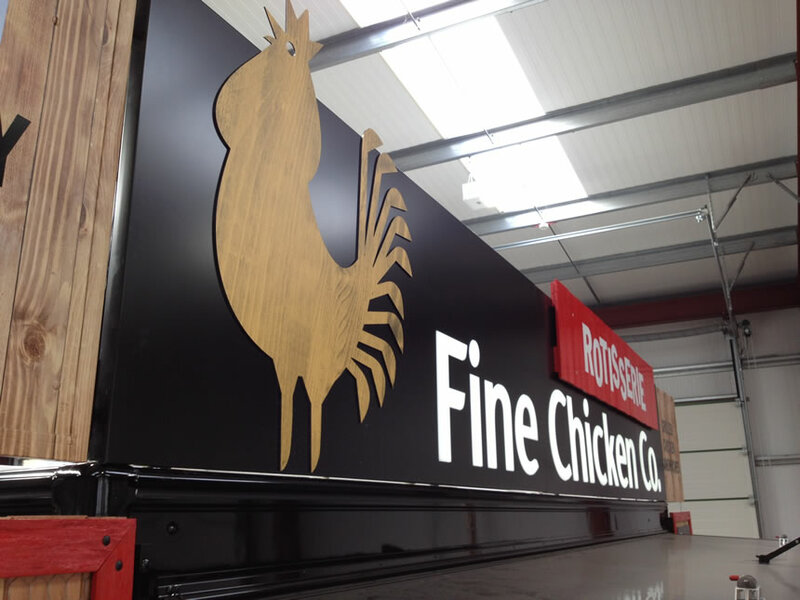 The Fine Food Company established customers of Towability wanted us to commission a new flag ship Fine Chicken Catering Trailer. 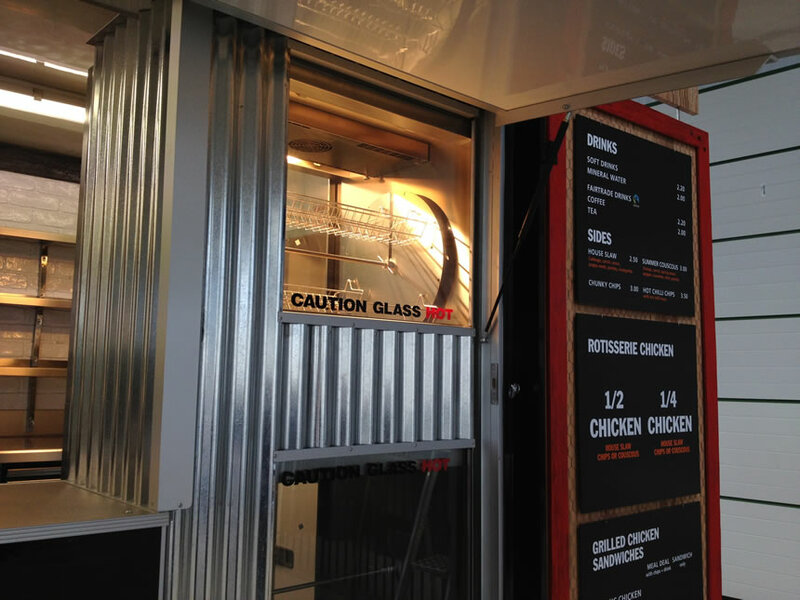 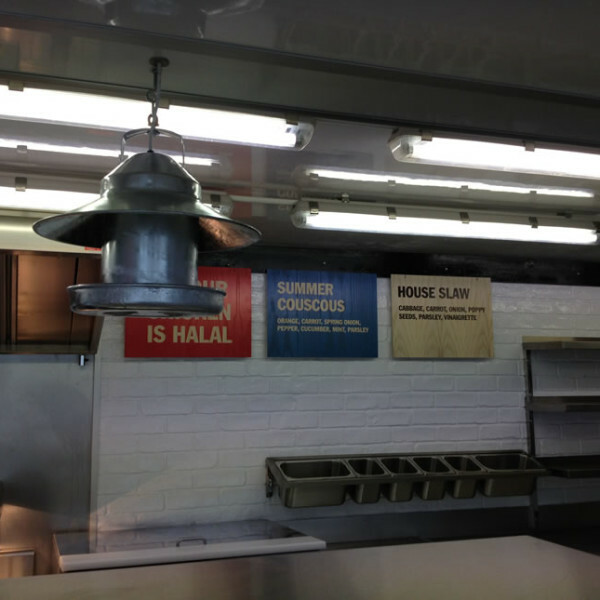 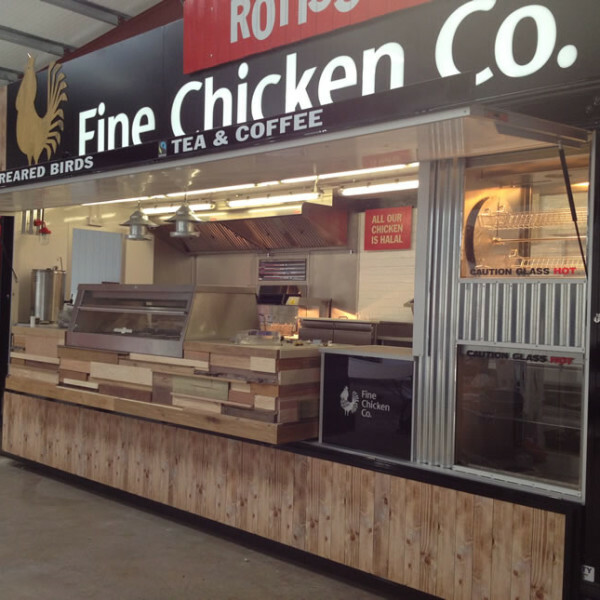 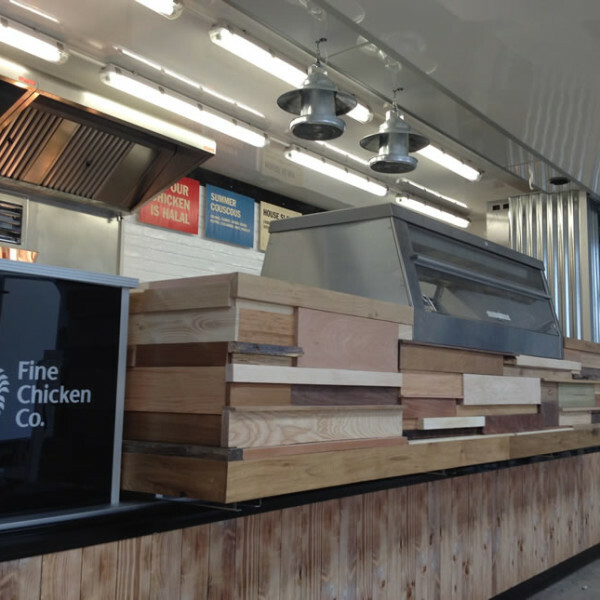 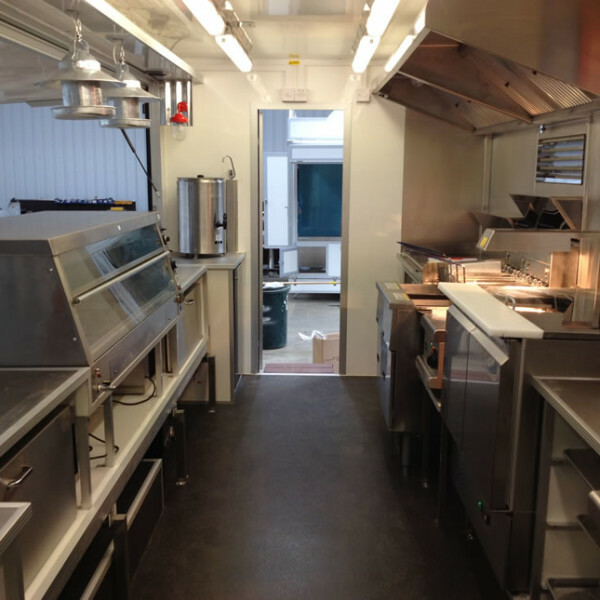 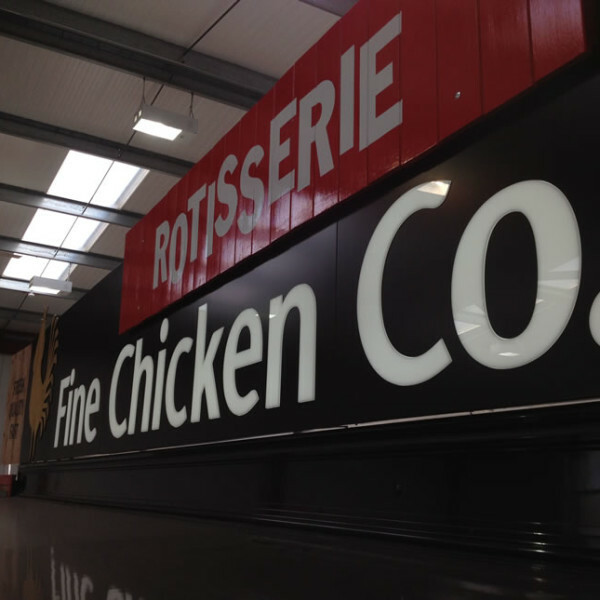 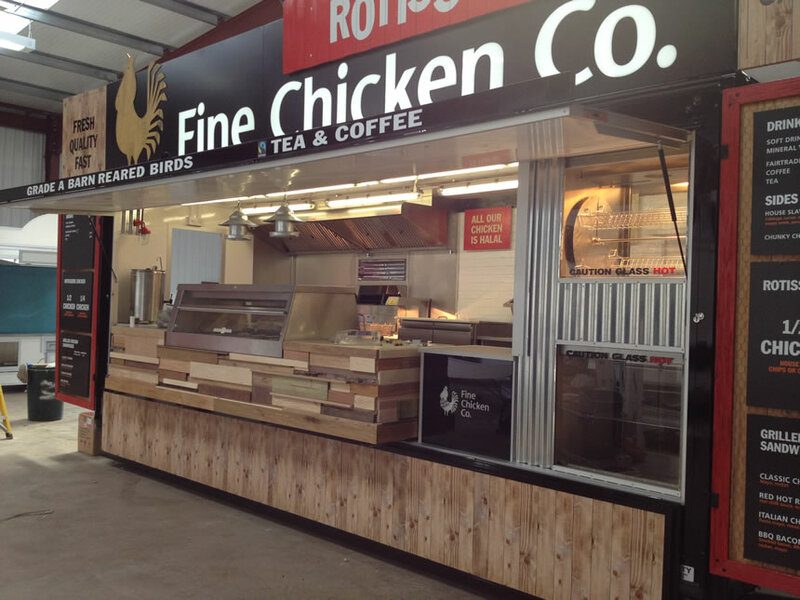 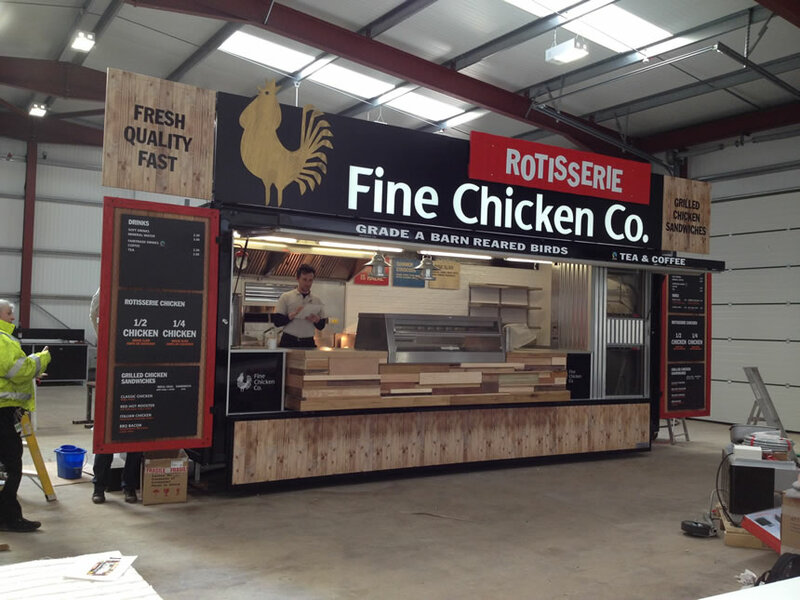 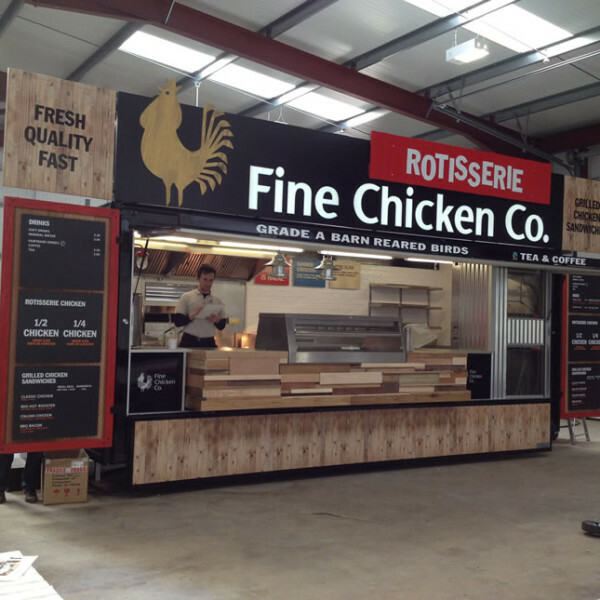 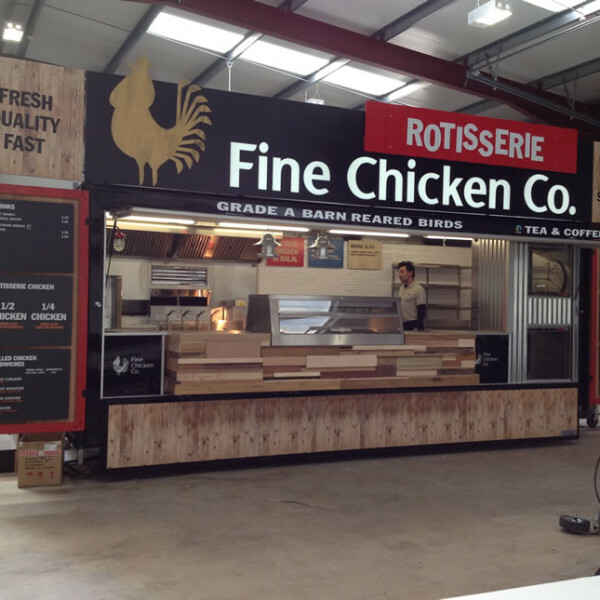 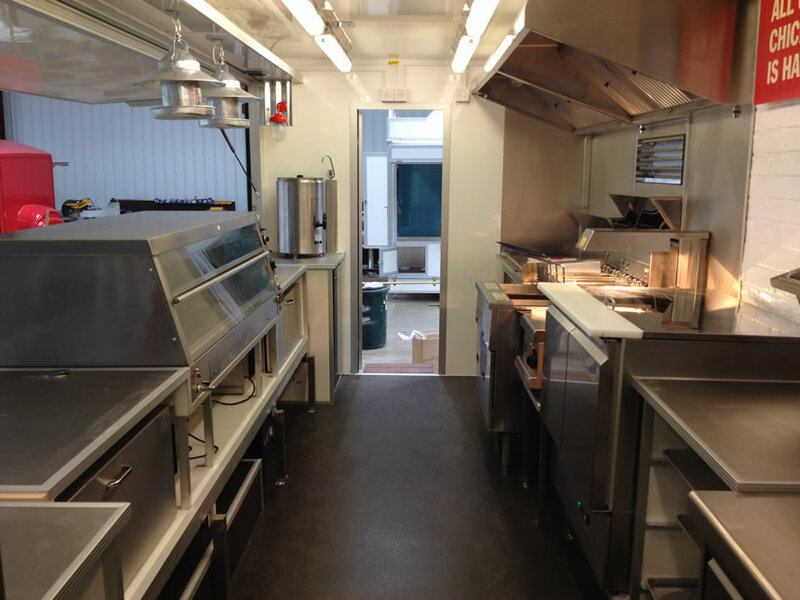 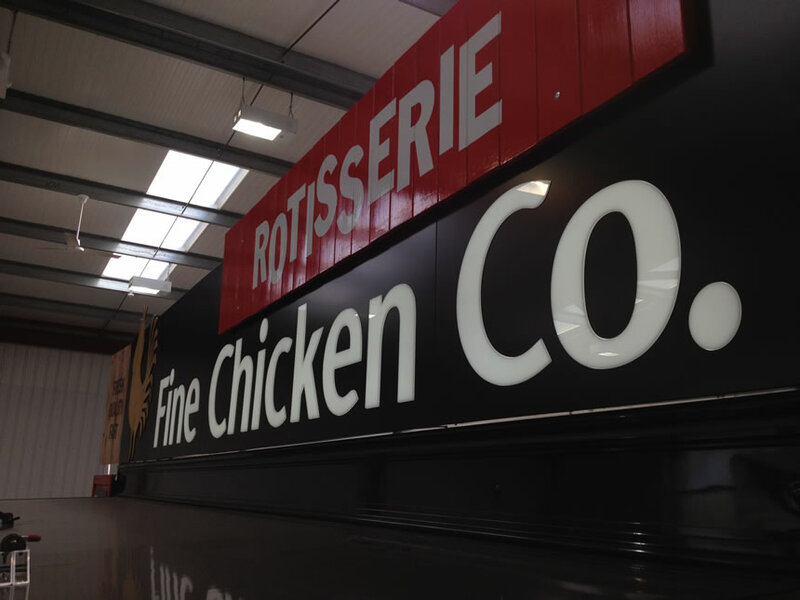 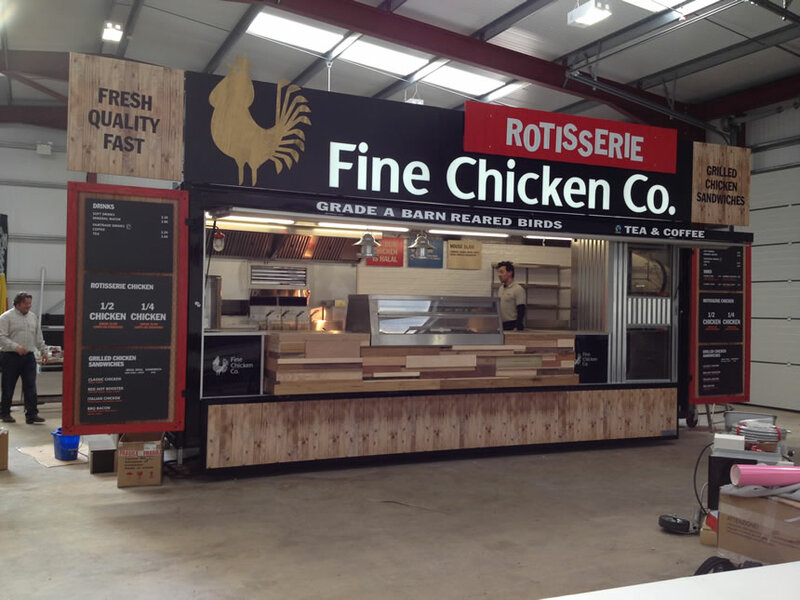 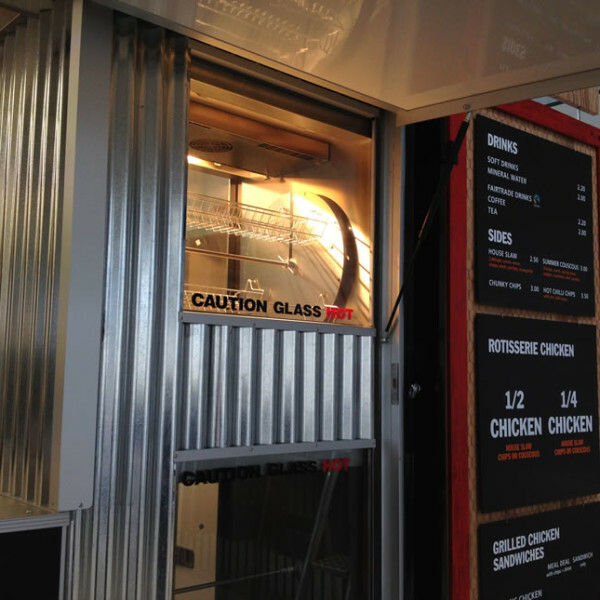 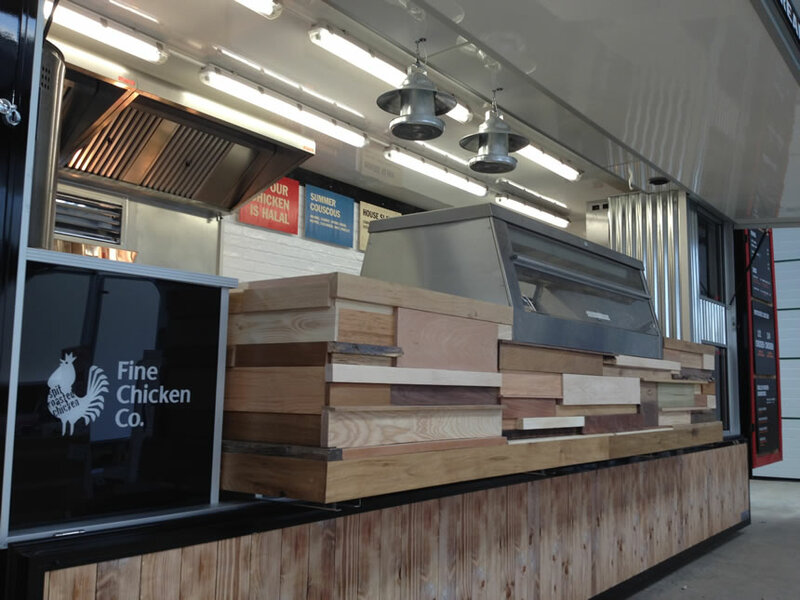 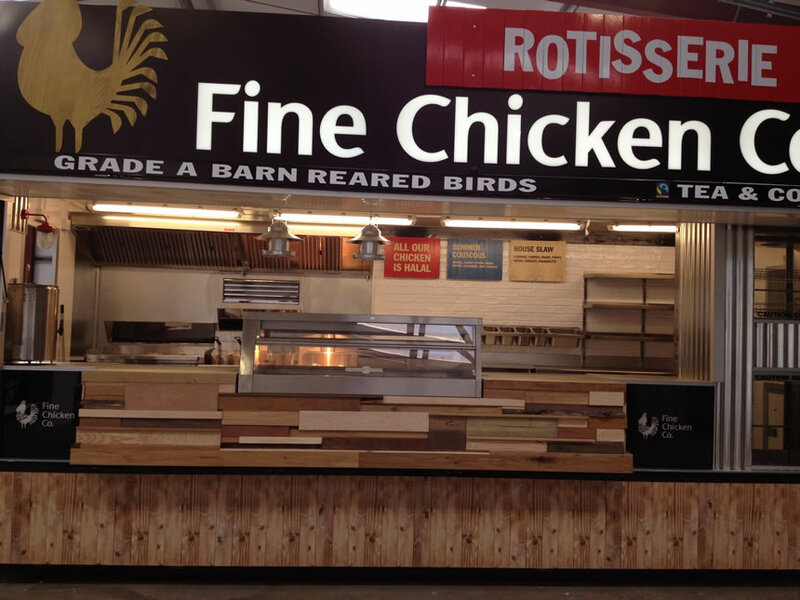 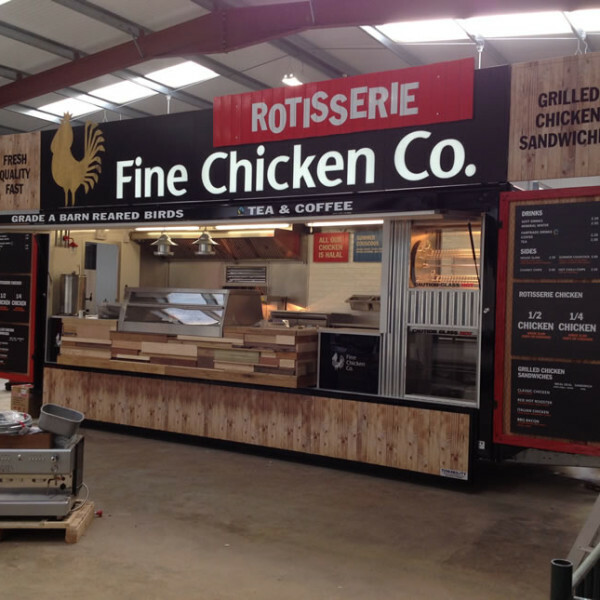 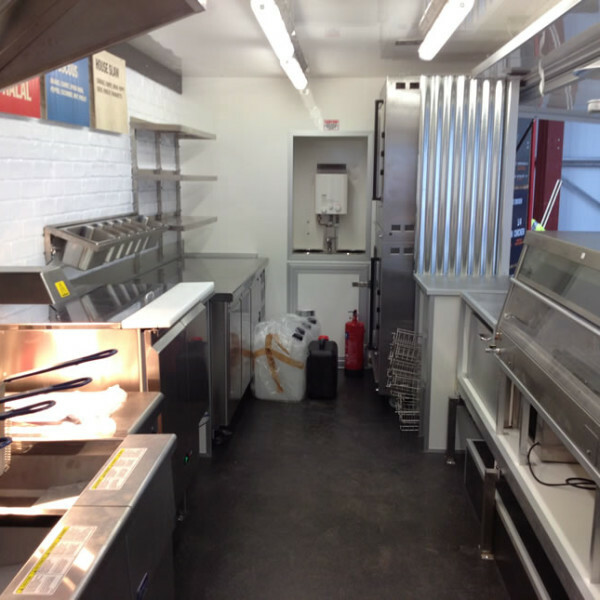 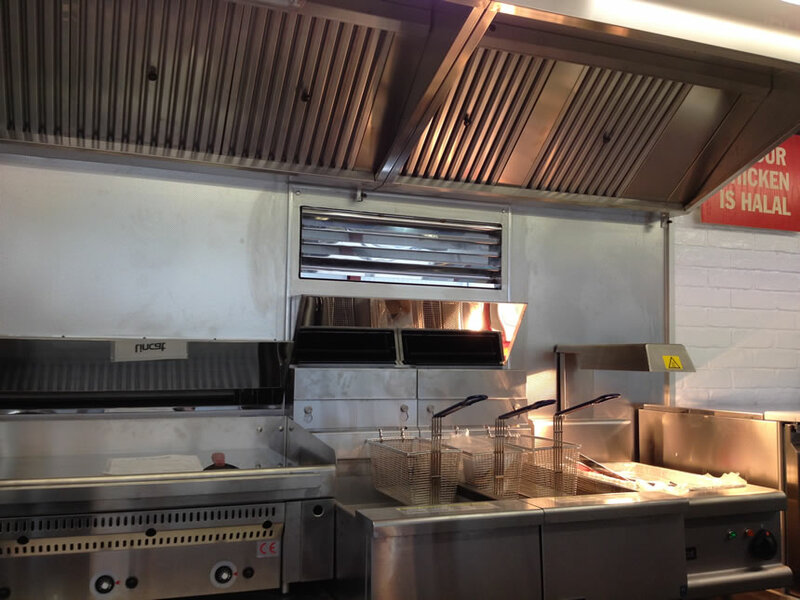 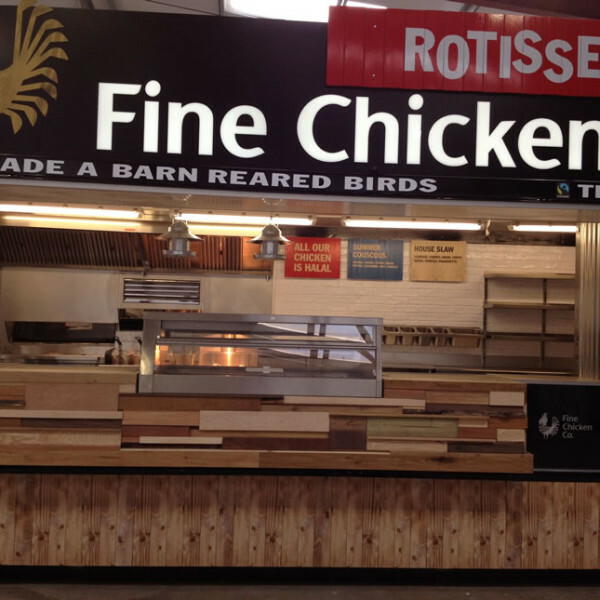 The Fine Food Company is very well versed in the UK mobile food catering industry, and you have probably seen many of their trailers at major UK events / festival circuit. 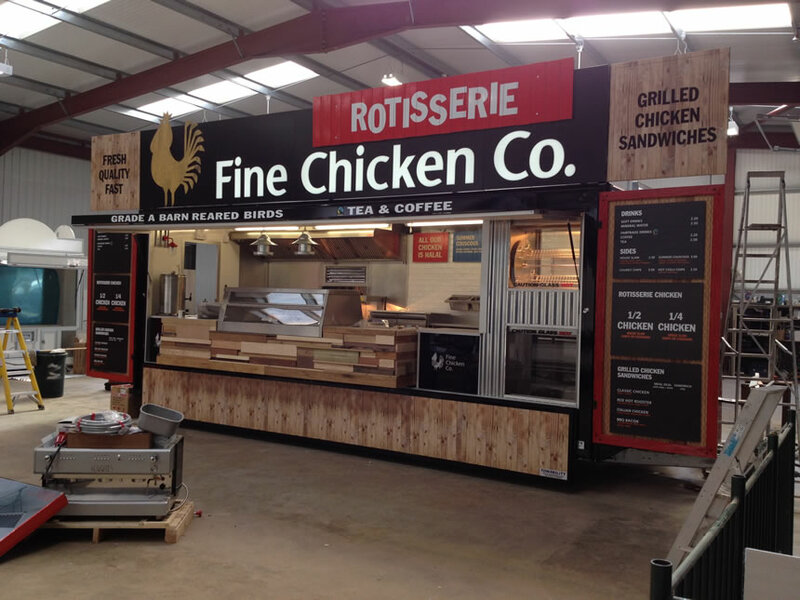 The experience The Fine Food Company has gained from all its mobile trading has enabled them to request new trailers that simply push all the boundaries. 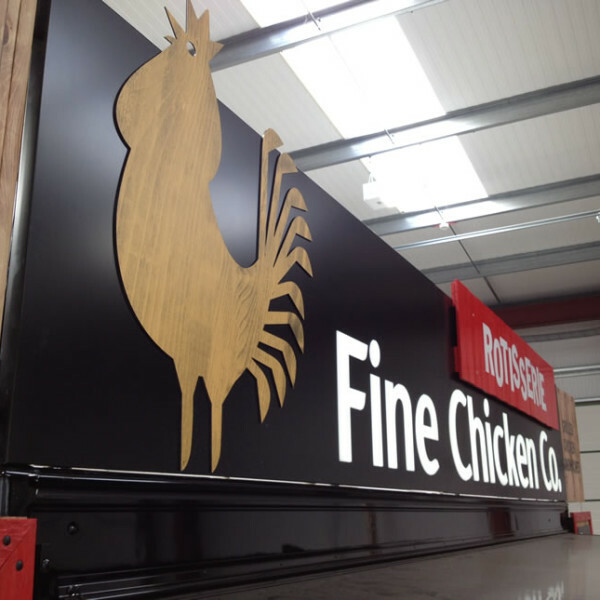 Pictured below is the original design agreed by The Fine Food Company and provided by Leigh at borndesign.com. 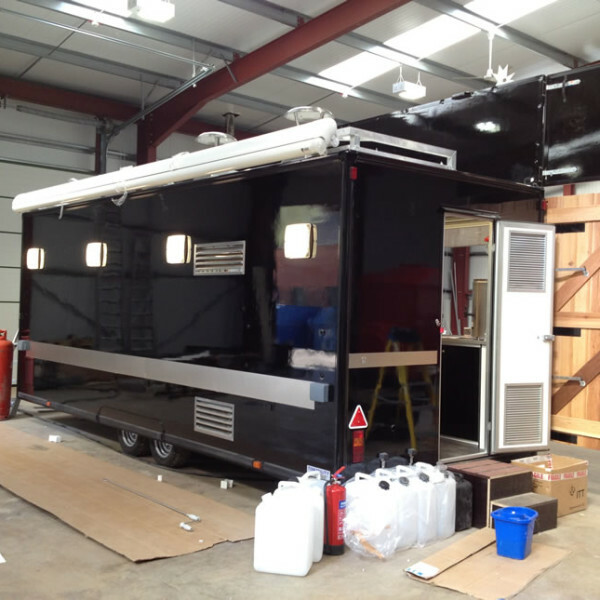 As you can see from the drawing dated 13th April 2012, (from blueprints to the finished trailer) we have managed to successfully turn around an extremely highly spec’ unit in time for their first event at the Chelsea Flower show.